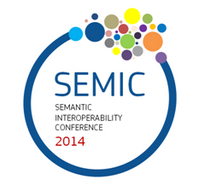 SEMIC 2014 brings together both the experts driving the practice of semantic technologies and those who have first-hand experience of implementing these standards in cross-border e-Government applications. SEMIC 2014 offers a unique opportunity to explore how Public Administrations can use semantic technologies to make information exchange efficient and effective, allowing them to operate at lower costs and provide better services. The conference will be held in Athens on the 9th of April 2014, under the auspices of the Greek Presidency of the Council of the European Union in collaboration with the Greek Ministry of Administrative Reform and e-Governance. This one-day conference is organised by the ISA Programme of the European Commission. Registration and programme are available on the event webpage.